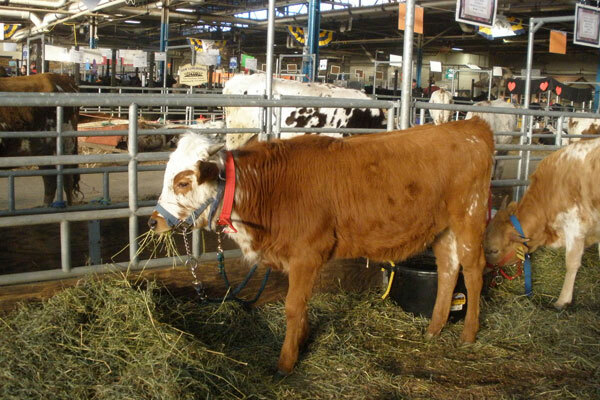 - Tomorrow the Pennsylvania Farm Show kicks off for the public and runs through Jan. 17. The Farm Show is the largest indoor agricultural exposition in the nation, with nearly 6,000 animals, 10,000 competitive exhibits and 300 commercial exhibits, but one of the biggest attractions is about the best food court you’ll ever visit. 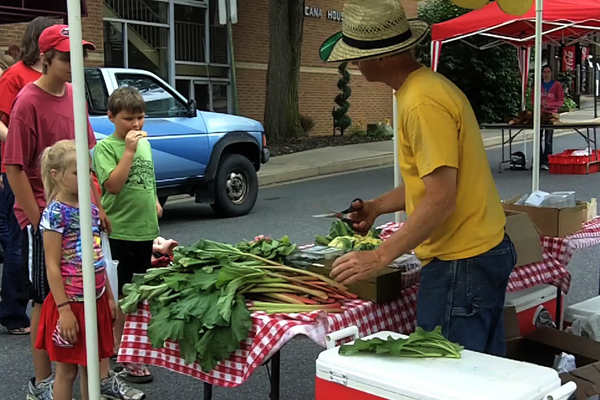 It features a variety of foods prepared by various Pennsylvania farming associations using local ingredients, including their famous milk shakes. 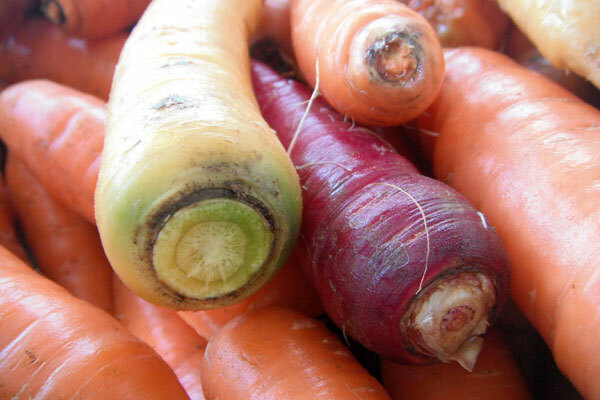 Why Community Supported Agriculture (CSA)? For over 25 years, the CSA movement has been gaining popularity with small to medium size farms across the country. In its simplest form, a group of individuals become paying members of a farm and in return, the farm grows fresh produce for the members. In this mutual partnership, the farm and the members share in both the abundance and short falls associated with farming. 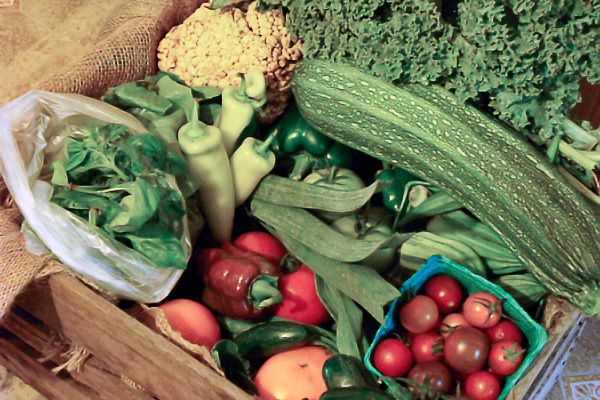 Continue Reading: Why Community Supported Agriculture (CSA)? I had never belonged to a CSA before I came to Tait Farm. I read about them, knew of some, and had friends and coworkers who picked up their shares weekly and absolutely loved being a part of it. We, however, were lucky enough to have a plot of land large enough to grow more than enough of our own produce. Greenmore Gardens CSA (Community Supported Agriculture) is located in Port Matilda. The farm uses sustainable practices and recently became certified organic. Find out what they have available this month—from kale and cabbage to hummingbird cakes made with vegetables and honey—in this video interview. Visit them at the North Atherton Farmers Market on Saturdays from 10am-2pm. Do you belong to a CSA? Community-supported agriculture (CSA) connects farmers and consumers and offers advantages to both parties. 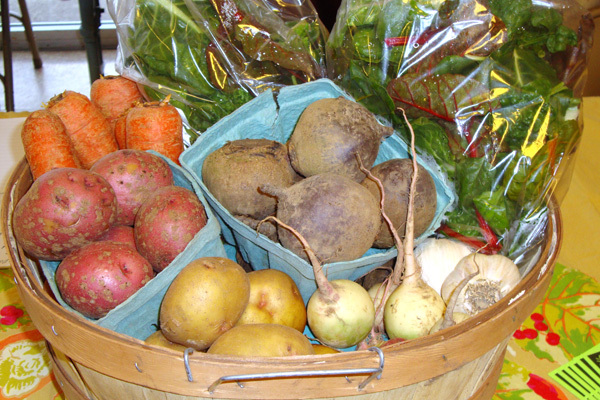 Consumers purchase a share at the beginning of the season and receive a weekly box of fresh-from-the-farm produce. And because farmers receive payment early, they are able to more effectively manage their cash flow and their crops. Addison Hoffman from Howard’s End CSA Farm, located about 1/2 hour outside of State College, runs a CSA. They offer everything from chickens and ducks to berries to honey and yogurt. 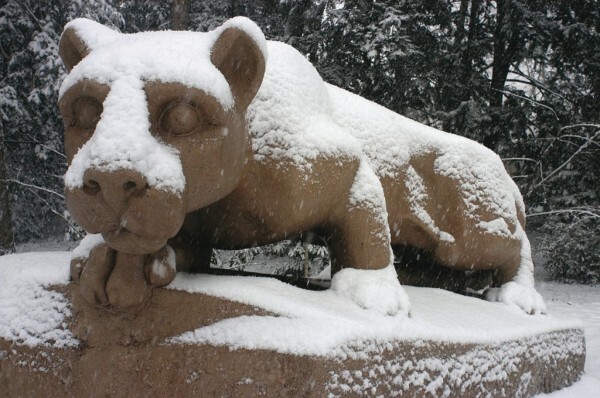 You can also find him at the State College Farmers Market on Tuesdays. 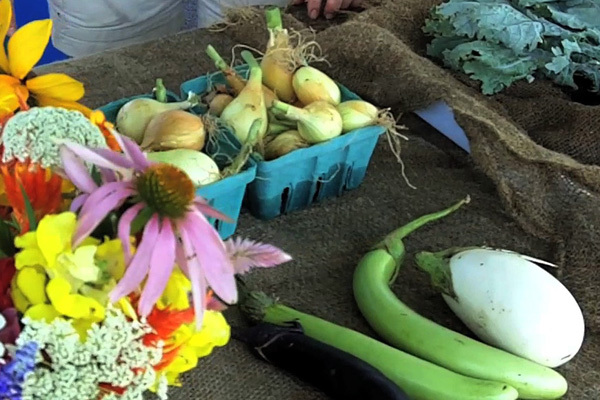 Watch a video interview with Addison and learn more about CSA farms.